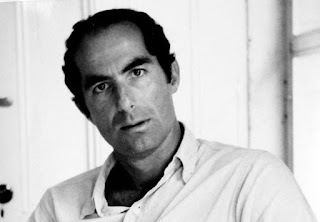 Philip Roth's death earlier this year motivated me to read American Pastoral, the last of his great novels on my list. As always with Roth, I was not disappointed. This is a big hulking novel, one overflowing with detail and introspection. But it's also one that reaches beyond itself, and that explores a range of American themes. Roth is best on the urban experience in Newark, and the violence plaguing the city. But he's also great when it comes to the suburbs and the countryside. It's there that he really gets to work, developing characters with unexpected histories and intersecting interests. American Pastoral is about more, though, than characters. This is a book about expertise. Roth writes as a novelist should -- about the things he knows: glove making, for instance, plays a dominant role in the book, and Roth does not fake it: all of the details are there, and the novel is better, and more believable, as a result. The arcane suddenly becomes imperative. If I had a critique of American Pastoral it might be the sense I had that some of the themes -- particularly about Jewish America -- felt recycled, or replayed. There are other Roth novels where this topic is better addressed. Which is not to say that it fell flat in American Pastoral; it's instead to suggest that the central conflict in the novel might have been navigated without recourse to this thematic staple. In the end, American Pastoral accomplishes much of what Roth set out to do: to evaluate the roots of disorder and violence, and to chip away at the facade that is the American pastoral. No characters here are immune from Roth's exploration: "supposedly robust things," he writes, are defined by their frailty. Power is a function of personality in American Pastoral. Materialism and inheritance, meanwhile, are subject to an inevitable limitation. They are a cloak that must ultimately be exposed.